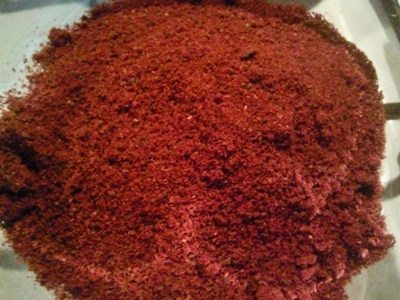 Rhus coriaria, commonly called elm-leaved sumach, tanner's sumach, or sicilian sumac ,dried fruits are used as a spice the fruit has a sour taste; dried and crushed, it is a popular spice in the middle east. immature fruits and seeds are also eaten. The leaves and the bark were traditionally used in tanning and contain tannic acid. Dyes of various colors, red, yellow, black, and brown, can be made from different parts of the plant oil extracted from the seeds can be used to make candles.